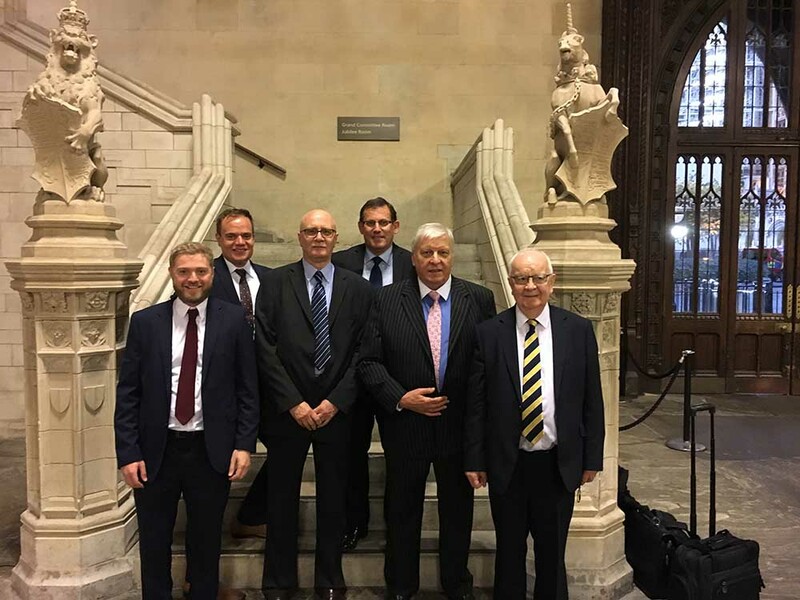 In an address to MPs and Peers at the All Party Parliamentary Group for Maritime and Ports, Forecast Technology CEO Dudley Chapman called upon politicians to come together to support the incredible work going on in the UK to make our seas cleaner. The presentation lead by Stuart Hall of Forecast Technology (FTL), focussed on the latest technological innovation originating from inside the UK, designed to allow ship owners to demonstrate full compliance with international environmental treaties like MARPOL. “The application of molecular tracer technology across the industry would ensure that only safe and well-run ships come into a subscribed country’s native waters”, said Mr Hall. Mr Hall was accompanied by Adam Schink from the NOC, Dan Hughes from Airbus and Dr Robert Sleat from Minton Treharne and Davies Group. FTL are committed to reducing the illegal oily operational discharges at sea which are a significant source of pollution. For further information regarding this article or any of our products simply contact our team.